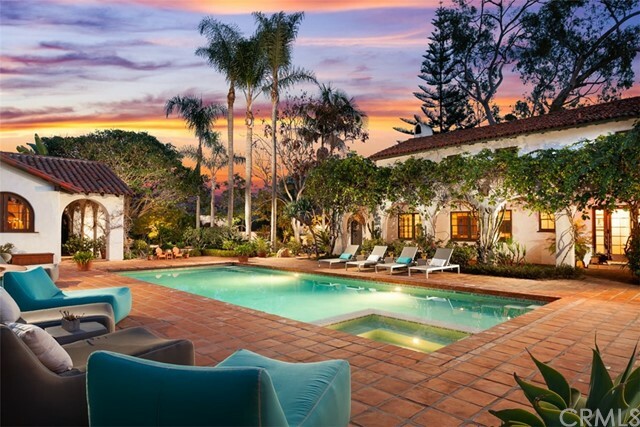 On the westside of the Rancho Santa Fe â€œCovenantâ€, this historic Spanish Colonial Revival property of just over three acres of tranquil outdoor space is perfectly located for secluded living, yet in close proximity to the California coast and its breathtaking scenery and activities. Built in 1928, the home was designed by legendary architect, Lilian Rice, which allowed it to be placed on the Historic Registry and, thus, financially benefits from Mills Act treatment. With living space of approximatelyOn the westside of the Rancho Santa Fe â€œCovenantâ€, this historic Spanish Colonial Revival property of just over three acres of tranquil outdoor space is perfectly located for secluded living, yet in close proximity to the California coast and its breathtaking scenery and activities. Built in 1928, the home was designed by legendary architect, Lilian Rice, which allowed it to be placed on the Historic Registry and, thus, financially benefits from Mills Act treatment. With living space of approximately 7,000 square feet, consisting of the main house and guest casita (built in the 90s) youâ€™ll discover 7 bedrooms and 8 bathrooms, chefâ€™s kitchen with Wolf range and Sub-Zero and Thermador appliances, theater, workout room, steam room, and wine cellar. On the first floor is the maidâ€™s quarters, executive office, living room, formal dining room, and chefâ€™s kitchen that opens to the family - while on the upper floor youâ€™ll find the master suite and two additional bedroom suites, loft, and kidsâ€™ playroom. Outdoors you will enjoy a solar-heated, salt-water pool and spa, Wisteria-wrapped loggia and colonnade, outdoor fireplace, fountains, and fenced vegetable garden with potting shed. The estate is securely self-contained with security-gated entrance and circumference fencing surrounding hundreds of Citrus trees of various types. Parking is abundant with a 3-car carport and entry motor court that could hold upward of 8 additional vehicles along with a 2-car attached garage.